March means spring and spring means cleaning! We know this can be a pretty rough time of the year so we’ve collected a few meme’s to help you laugh your way through the pain. We’re not saying this the worst way to get the house clean…but might not be the safest! Death by spring cleaning?! We haven’t heard of it happening, but we agree, why take a chance? Sometimes it’s just best to start from square one…Did we mention we do move out cleans too? Sure you could put off the spring cleaning, or you could put it on someone else’s to do list *hint hint…ours! We hope these brought you a smile during this troubling time of the year. Sometime’s you just have to bite the bullet and go for it! Or you could always call Maid to Shine. It was hilarious. One of the best way to convey a very important message. cleaning is not something anyone should avoid, having said that I personally do not clean my home by myself. 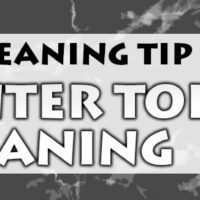 thanks for sharing the good tips for cleaning .this was very useful.